We were there when the gas grill was invented and have spent our careers in the industry. The Legacy Series of PGS grills is just that, "the ultimate oudoor cooking machines". A legacy to all the we learned in the nearly fifty years since the gas grill was created. This 36" Newport grill can be mounted in a masonry enclosure or on a stainless steel portable cart. The Pacifica Grill is available with an infrared rear burner to create the Pacifica Gourmet Series grill. 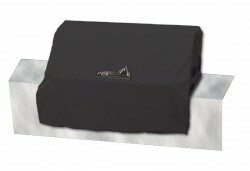 Optional accessories include the world's finest gas grill cover, a commercial grade beverage holder, a high output side burner kit, an heavy duty rotisserie kit, even a commercial grade griddle for Sunday morning pancakes and eggs, or peppers and onions for your annual Octoberfest party! 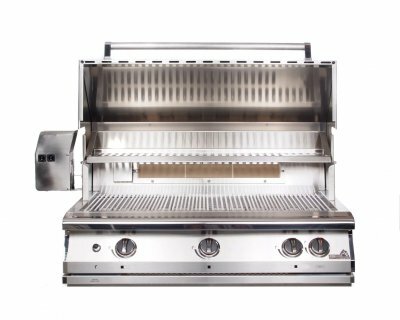 Equipped with three stainless steel burner (25,000 btu/hr each), "sure start" continuous spark electronic ignition, 304 series commercial grade stainless steel variably spaced cooking grids, stainless steel rock grates, and ceramic rock for even heat distribution. See All Propane Grills Products!